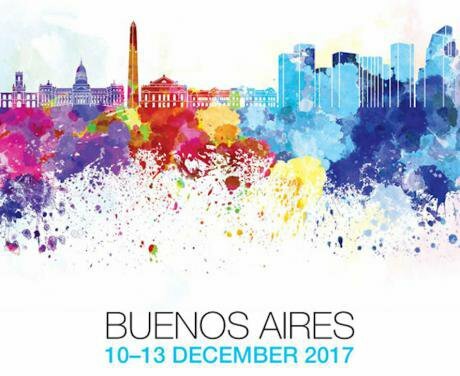 This week (10-13 December 2017), trade ministers from 164 countries gather together in Buenos Aires for the 11th World Trade Organization (WTO) Ministerial Conference (MC11). President Donald Trump in November issued fresh accusations of unfair treatment toward the US by WTO members, making it virtually impossible for trade ministers to leave the table with any agreement in substantial areas. To avoid a ‘failure ministerial,” some countries see the solution as pushing governments to open a mandate to start conversations that might lead to a negotiation on binding rules for e-commerce and a declaration of the gathering as the “digital ministerial. Argentina’s MC11 chair, Susana Malcorra, is actively pushing for member states to embrace e-commerce at the WTO, claiming that it is necessary to “bridge the gap between the haves and have-nots”. It is not very clear what kind of gaps Malcorra is trying to bridge. It surely isn’t the “connectivity gap” or “digital divide” that is growing between developed and developing countries, seriously impeding digital learning and knowledge in developing countries. In fact, half of humanity is not even connected to the internet, let alone positioned to develop competitive markets or bargain at a multilateral level. Negotiating binding e-commerce rules at the WTO would only widen that gap. Dangerously, the “South Vision” of digital trade in the global trade arena is being shaped by a recent alliance of governments and well-known tech-sector lobbyists, in a group called Friends of E-Commerce for Development (FED), including Argentina, Chile, Colombia, Costa Rica, Kenya, Mexico, Nigeria, Pakistan, Sri Lanka, Uruguay, and, most recently, China. FED claims that e-commerce is a tool to drive growth, narrow the digital divide, and generate digital solutions for developing and least developed countries. However, none of the countries in the group (apart from China) is leading or even remotely ready to be in a position to negotiate and push for binding rules on digital trade that will be favorable to them, as their economies are still far away from the technology revolution. For instance, it is perplexing that one of the most fervent defenders of FED’s position is Costa Rica. The country’s economy is based on the export of bananas, coffee, tropical fruits, and low-tech medical instruments, and almost half of its population is offline. Most of the countries in FED are far from being powerful enough to shift negotiations in favor of small players. U.S.-based tech giants and Chinese Alibaba – so-called GAFA-A dominate by far the future of the digital playing field, including issues such as identification and digital payments, connectivity, and the next generation of logistics solutions. In fact, there is a no-holds-barred ongoing race among these tech giants to consolidate their market share in developing economies, from the race to grow the advertising market to the race to increase online payments. An e-commerce agenda that claims unprecedented development for the Global South is a Trojan horse move. Beginning negotiations on such topics at this stage – before governments are prepared to understand what is at stake – could lead to devastating results, accelerating liberalization and the consolidation of the power of tech giants to the detriment of local industries, consumers, and citizens. Aware of the increased disparities between North and South, and the data dominance of a tiny group of GAFA-A companies, a group of African nations issued a statement opposing the digital ambitions of the host for MC11. But the political landscape is more complex, with China, the EU, and Russia now supporting the idea of a “digital” mandate. The relationships of most countries with tech companies are as imbalanced as their relationships with Big Pharma, and there are many parallels to note. Not so long ago, the countries of the Global South faced Big Pharma power in pharmaceutical markets in a similar way. Some developing countries had the same enthusiasm when they negotiated intellectual property rules for the protection of innovation and research and development costs. In reality, those countries were nothing more than users and consumers of that innovation, not the owners or creators. The lessons of negotiating trade issues that lie at the core of public interest issues—in that case, access to medicines—were costly. Human lives and fundamental rights of those who use online services should not be forgotten when addressing the increasingly worrying and unequal relationships with tech power. The threat before our eyes is similarly complex and equally harmful to the way our societies will be shaped in the coming years. In the past, the Big Pharma race was for patent exclusivity, to eliminate local generic production and keep drug prices high. Today, the Big Tech race is for data extractivism from those who have yet to be connected in the world, and tech companies will use all the power they hold to achieve a global regime in which small nations cannot regulate either data extraction or data localization. If countries from the Global South want to prepare for data wars, they should start thinking about how to reduce the control of Big Tech over—how we communicate, shop, and learn the news—, again, over our societies. The solution lies not in making rules for data liberalization, but in devising ways to use the law to reduce Big Tech’s power and protect consumers and citizens. Finding the balance would take some time and we are going to take that time to find the right balance, we are not ready to lock the future yet.